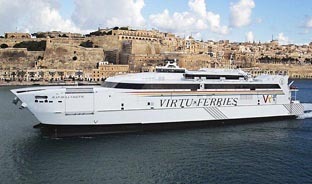 Depart from Malta with Virtu Ferries at 0645hrs. Arrival at Pozzallo, Sicily at 0815hrs. Panoramic excursion of Siracusa and immediate transfer to Hotel. Dinner at Hotel. Full day excursion to Castelmola and Taormina. Dinner at Hotel. Full day excursion to Gole D’Alcantara and Mount Etna. Dinner at Hotel. Leave hotel in the morning for excursion to Randazzo to visit the market. Group proceeds to Portali Hypermarket and soon afterwards transfers to port of Pozzallo. Depart from Pozzallo at 2130hrs. Arrival in Malta at 2300hrs. If you require a Visa for Malta, you must apply for a Schengen area Visa. 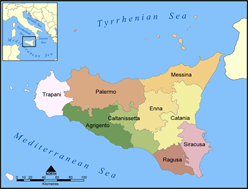 This will permit you to travel to Sicily.